St. Patrick's Day Special, 21% Off! This Irish wig features long Kelly green hair and would transform you into an Irish beauty on St. Patrick's Day. This Irish wig with its longemerald green hair could be the perfect accessory to top off your St. Patrick's Day costume. 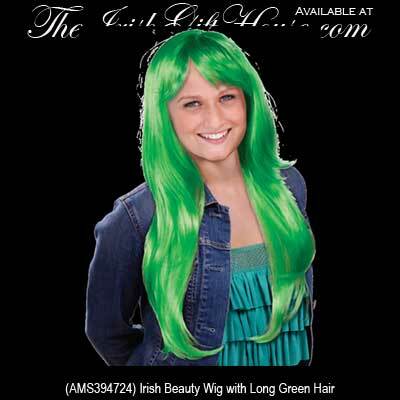 The St. Patrick's Day wig from The Irish Gift House is made of synthetic fibers and is ideal for any Irish themed festivity.